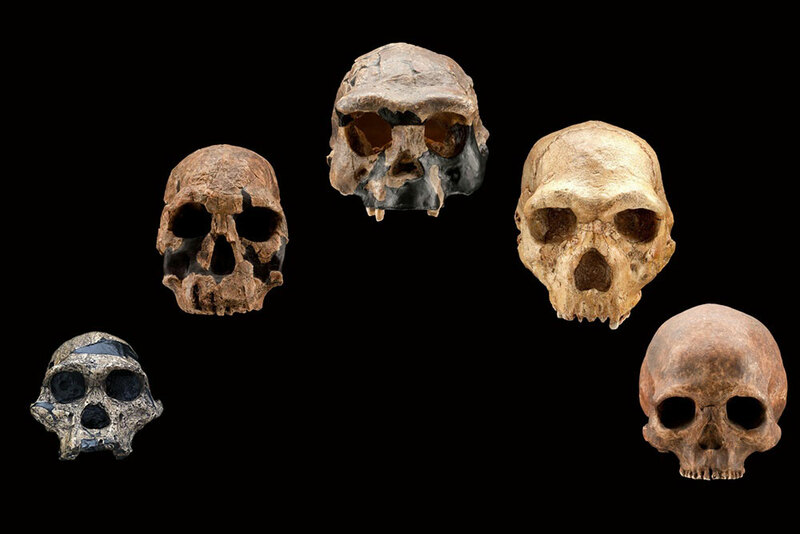 A selection of Hominin skulls. An evening symposium on the theme ‘Human Evolution in Structured Populations’, will take place at the University of Oxford. The event is funded by the Wellcome Trust, the British Academy of Arts and Social Sciences, and the Galton Institute. The symposium will explore the archaeological, fossil and genetic data that suggest that the emergence of our species occurred within a set of subdivided populations located across Africa, rather than within a small and isolated East African population. The event will therefore consider the complexity of our origins and will provide a context for evaluating competing models within an interdisciplinary context invoking structured populations, which affect how data are interpreted. Professor Chris Stringer (Natural History Museum, London) will discuss the palaeoanthropological diversity of the African Middle and Late Pleistocene. Professor Alison Brooks (George Washington University) will discuss the archaeological evidence for material culture diversity in the African Middle and Late Pleistocene. Dr Lounes Chikhi (CNRS, Toulouse and Inst. Gulbenkian, Lisbon) will talk about the genetic evidence of popuation structure in the early history of our species, Homo sapiens. Professor Peter deMenocal (Columbia) will talk about the palaeoclimatic diversity of the African Middle and Late Pleistocene. The event will be held in the Mackinder Lecture Theatre and is ticketed but free, and will be followed by a short wine reception. There are only a limited number of spaces!